Digital India is an ambitious programme run by Shri Narendra Modi for the development of the people and the country. Mainly focusing on the rural regions of the country, beneficiary being the citizens. Digitalization is bringing up of digital technologies in people’s everyday lives by digitizing everything that can be digitized. It can also be explained as the process of converting information into digital format. 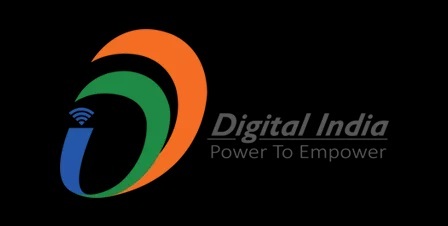 Digital India is an initiative made by government of India in the year 2015(1st July) to make sure that government services are available to all the citizens electronically by increasing internet connectivity all over the nation and also by improving online infrastructure. The vision of digital India is to work upon 3 main areas-digital empowerment of citizens, governance and services for the people on demand, providing digital infrastructure to each and every citizen. As the initiative talks about providing Internet services all over with increased connectivity and greater access to information, more and more people would be able to enjoy the fruits of development in the country. The Government would be able to connect with the citizens and provide them services in an efficient manner. Through this initiative the government of India will focus on achieving the target also known to be the “Nine pillars of digital India”. Some of the facilities that the Indian government through this initiative will be providing are e-education, e-health, e-sign etc. Indian government also planned to launch Botnet cleaning centres. The motive behind launching of the initiative ‘Digital India’ was to ensure that all the citizens are provided with the government services by improvisation of internet connectivity and it’s availability all over the country. The idea of making India digital was brought up by Shri Narendra Modi on 1 July 2015 at Indira Gandhi stadium. The idea was to make the unaware rural regions aware about the fact that almost everything can be done online starting from online payments to purchasing anything and people can get educated online also, this eventually will add up to the development of the country. This initiative doesn’t only tell the people to work upon the same but also provides facilities like high-speed Internet facilities. The top industrialists are also involved in this initiative naming Mukesh Ambani, Azim Premji, Cyrus Mistry. It is a very visionary initiative that has been run by Shri Narendra Modi let’s just cross our fingers and hope that it does well..! Main motive behind this initiative is to persuade the people of rural regions to use digitization as a medium of their almost every work, by showing them how all the work can be done easily with less efforts and time, digitally. Digitization also adds up to a better lifestyle and development of the country and the citizens. Less of paperwork, less wastage of time, more accurate information, online education and many more could be seen as the advantages that digitalization will be causing to us and the country. The new Apple watch can be taken as an example of digitalization as the changes made to the watch are not common at all like normal watches it doesn’t only provides us with the time, date and day but also works as a substitute for phone like capable of messaging, internet availability, calling etc. Another example of digitalization that we can see around us in schools and colleges are smart classes that uses the technology of projectors to make the child learn by seeing the pictures, movies etc. The motive behind this initiative can also be seeing in the direction as reaching to the unreachable. Digitalization is nothing more than our life being dependent on artificial brains. Nowadays our entire work can be done through our phones whether it’s booking tickets for a movie online, travelling, payment making, shopping, chatting with our loved ones etc. Digitalization has made our lives easier then ever before. Bharat Broadband Network Limited (BBNL) has played a major role in providing internet services to over 2,50,000 villages through GPON to ensure FTTH based broadband. Universal Access to Phones- Ensuring mobile connectivity in rural regions as well as urban areas. Public Internet Access Programme- Expanding the coverage of Common Services Center (CSC) from 1.35 lakhs to 1.5 lakhs. Broadband Highways- Expansion of National Optical Fiber Network in all the gram panchayats in the country. Information to All- Providing everyone with the quality information. IT for Jobs- The plans made by the government trains students from all over the country for IT sector. E-governance- Processes and services will be improved by re-engineering. Moreover digitalisation can bring together all the needs to be served at a single point. It is possible to bring all the personal details, finances and legal entities to be stored, monitored and manged at a single source. This could bring in more transparency, better management and way for faster growth. Thus digitalization turns out to be the key to success in the emerging world! !